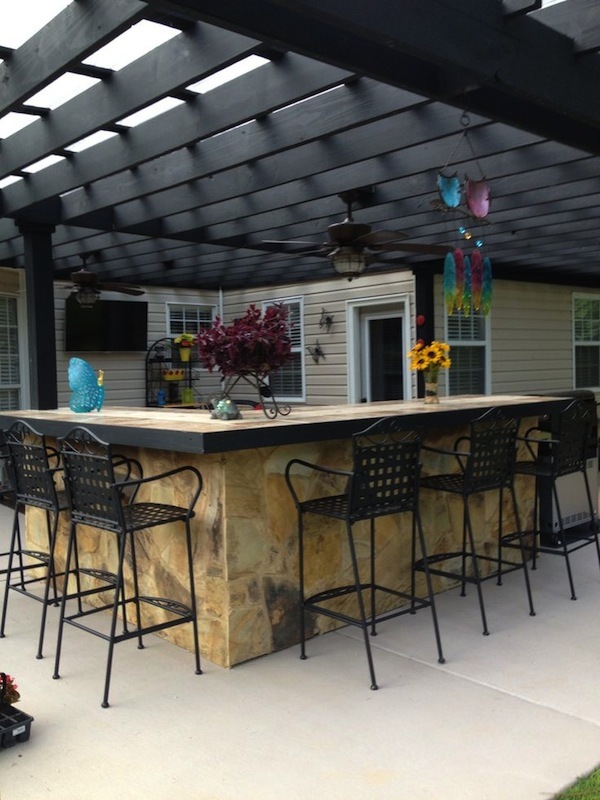 Creating an outdoor bar on the patio, deck or terrace can add a lot fun and functionality for outdoor entertaining or simply relaxing after a busy day. Whether you have a tiny space or more than ample room, if you can fit in a bar and bar stools you’ll be so glad you did. Need a little design inspiration to get you started? Here are bars, big and little, that recently caught our design eye. 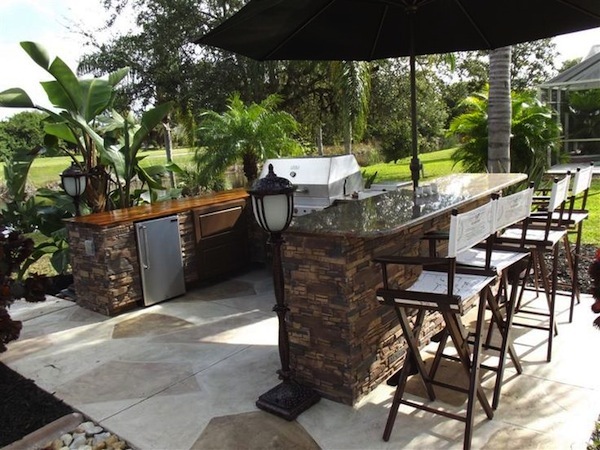 Here’s a cool stone bar with tall director’s chair bar stools. 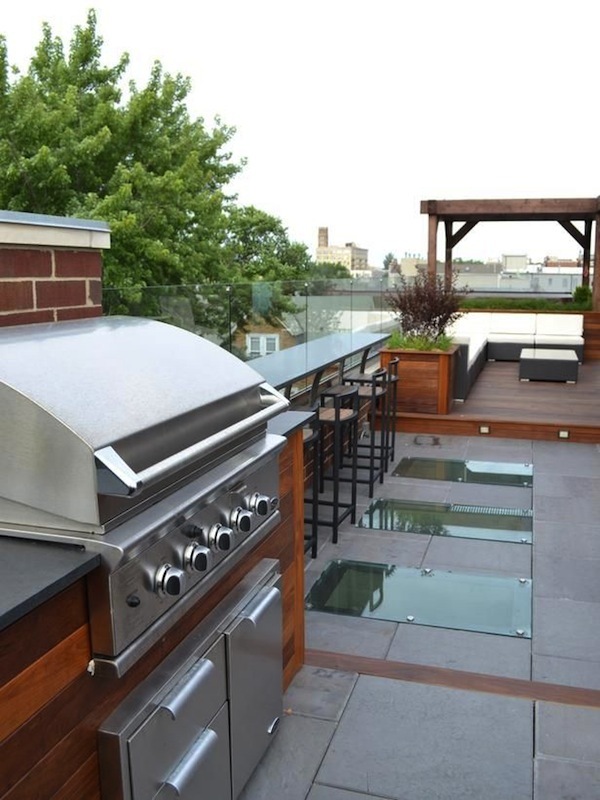 Taking advantage of space that might otherwise be wasted is bonus in this narrow roof top deck. 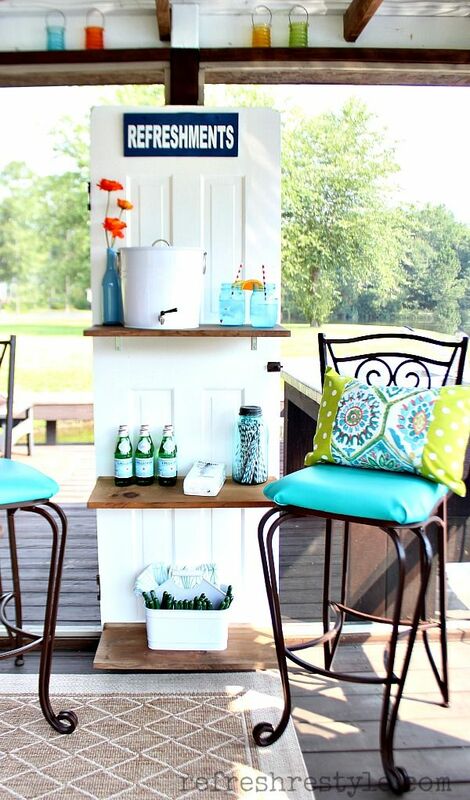 A tiny bar works well in this screened in porch. 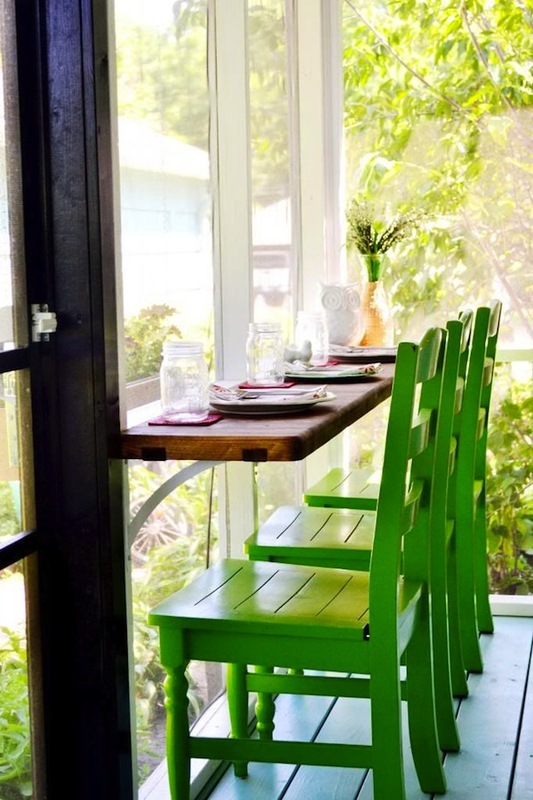 Green paint on the stools adds a cool updated touch. 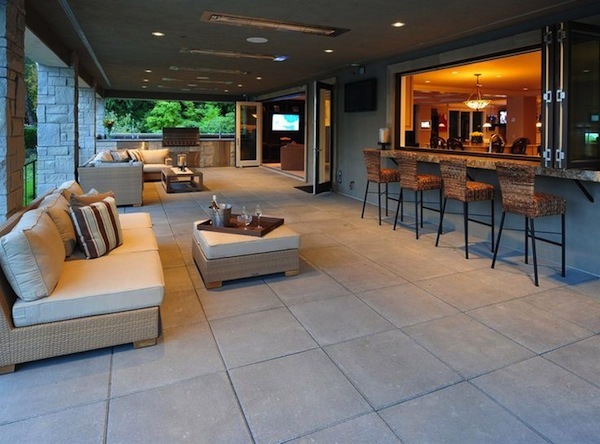 A spacious covered patio features a long bar that also serves as a convenient kitchen pass-through for food and drinks. 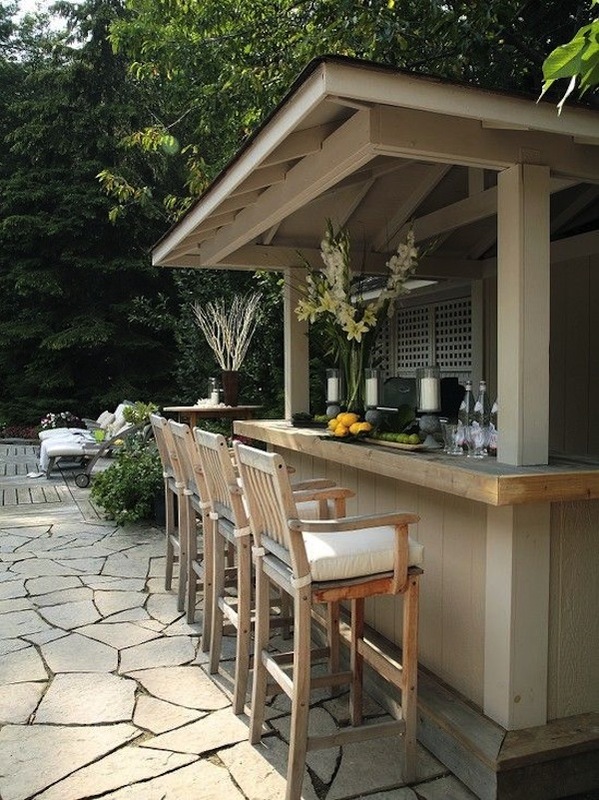 A small outdoor bar adds lots of functionality to this flagstone patio. 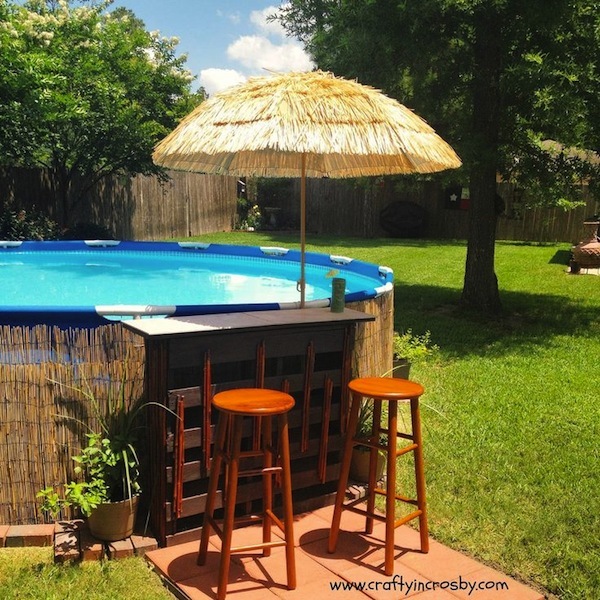 Tiny, but oh so functional, this poolside bar is just the thing for conveniently holding a refreshing drink while in the pool or taking a break perched on a backless barstool. 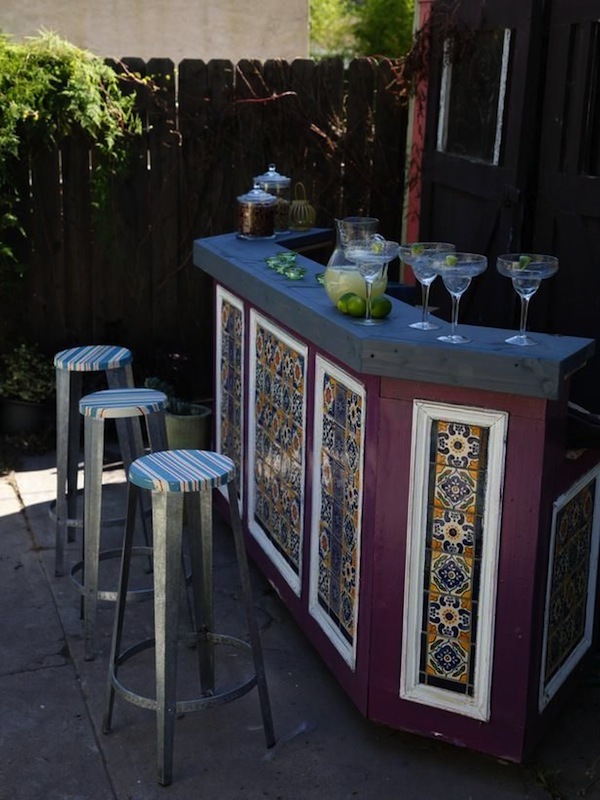 With lots of, this large outdoor bar easily accommodates at least five or six wrought iron bar stools with arms. 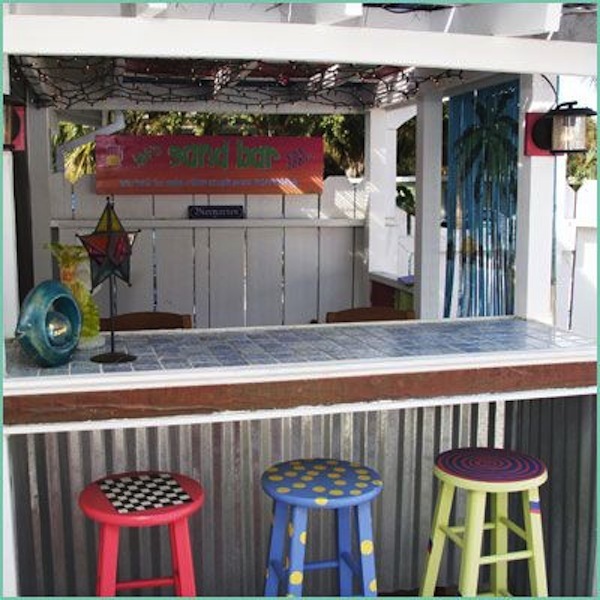 Small but festive this colorful bar is just right with backless metal bar stools. Want to join the fun? Another tiny outdoor bar made with sheet metal and white tiles is made festive with a hand-painted sign and whimsical wooden stools. 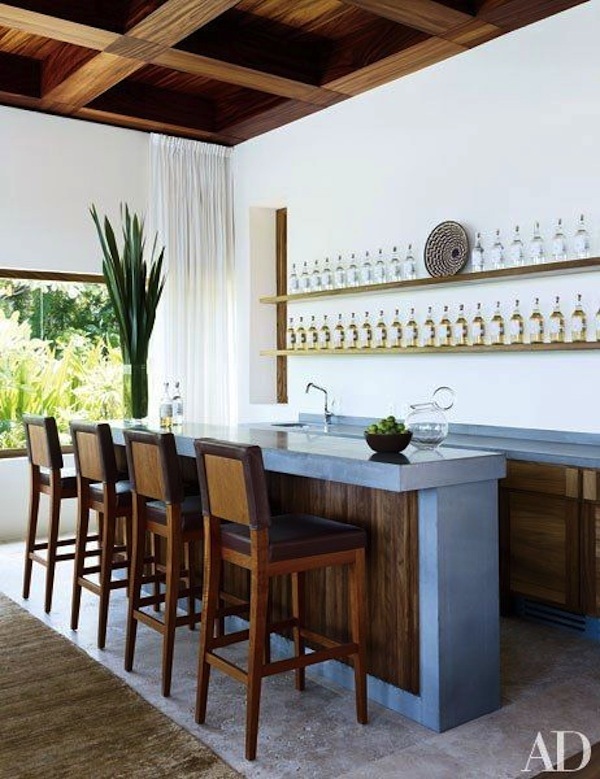 A freestanding bar and stools is at once rustic and contemporary with stunning views of the sea. No bar, no problem. Just pull up a wrought iron bar stool next to free-floating wood shelves. What a clever idea for a drink station. 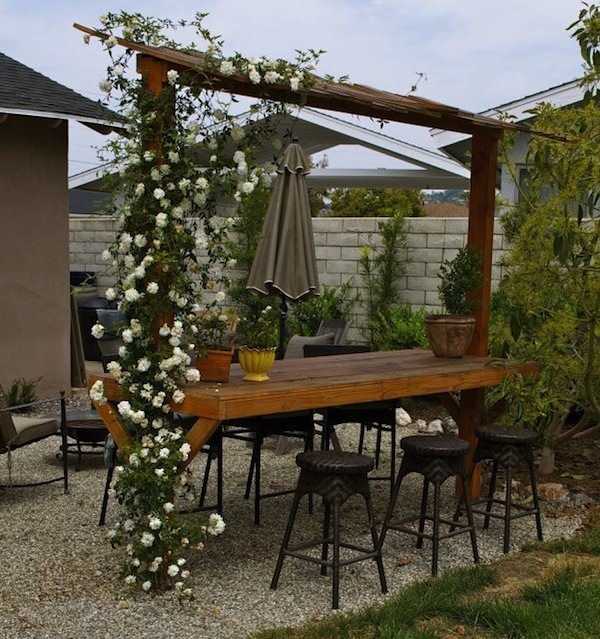 A simple outdoor bar near the seating area around a wrought iron fire pit fire pit is made of wood and is accessible from both sides. It’s has been decorated with a climbing rose that will eventually find its way across and down the other side. Charming don’t you think? 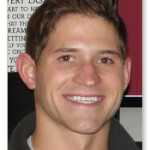 Image Sources: Pinterest.com; HomeTalk.com; OutdoorSolutionsMS.com; Redbird-Blue.blogspot.com; HGTV.com; ArchitecturalDigest.com; CraftyInCrosby; RefreshRestyle.com; JaneCoslickCottages.com; MakeItRane.com.